Co-Optimus - News - Beyond: Two Souls to Have Co-Op Via "Dual Mode"
Beyond: Two Souls to Have Co-Op Via "Dual Mode"
Last week at Gamescom 2013, David Cage (the creator of Beyond: Two Souls) announced that the game will have 2-player co-op via a special system dubbed "Dual Mode." Through Dual Mode, both players connect their smartphones or tablets (iOS or Android) to the game, which lets them control main characters Aiden or Jodie with specialized touchscreen gestures. Players won't be able to play at the same time, however, making the gameplay asynchronous. While the smart devices will designate who is controlling Aiden and who is controlling Jodie, players will have to take turns. The touch controls are available in single-player as well. While Dual Mode sounds like a somewhat unorthodox approach to co-op, it may turn out to be pretty fun. I know that I've had some good experiences playing a single-player game with a partner where we just passed the controller back and forth. Dual Mode sounds like it's drawing upon that kind of idea with a more defined method of play. We'll have to see. 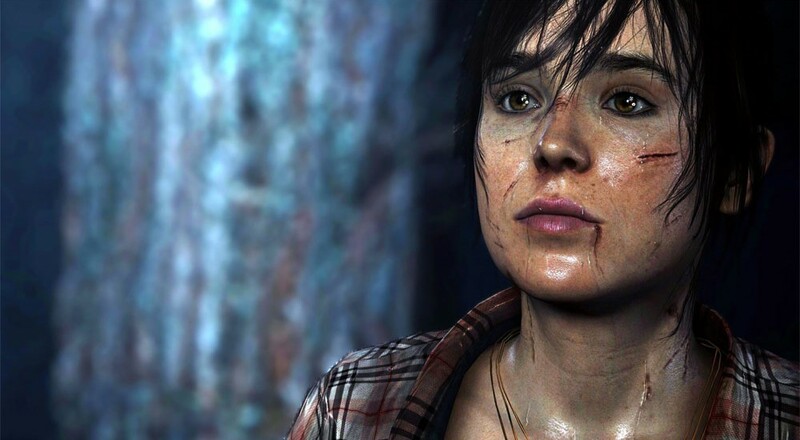 Beyond: Two Souls releases on October 8th, 2013 on the PS3. It will support 2-player local co-op in Dual Mode. Page created in 1.2897 seconds.